It’s summer time in Central Florida, which means it is hot, humid, and (this year) wet. Besides staying hydrated while working in the yard, there are several things you should be thinking about when it comes to summer lawn and garden care. Now is the time for summer fertilization. Repairing, renovating, or planting are also good ideas. Before planting, don’t forget to work in organic materials, such as peat, manure, and compost, into your soil. For July, consider spraying your roses weekly with a good fungicide such as Thiomyl, Daconil, and Dithane M-45. This practice is key to the plant’s health. Rose bushes are especially hungry plants so feed them on a regular basis. Remember, weeds grow at a lower fertility level than turf grasses. In other words, weeds thrive when a lawn is hungry. Feeding and mowing your lawn on a regular schedule this year will result in vast improvements. Since fungus diseases thrive in July, watch your grass and use a good granular turf fungicide if you see disease rear its ugly head. We can help identify issues with your turf as well, just bring us a dry sample of your grass and we’ll be happy to assist. Spider mites attack most plants and can do serious damage. Fight back using a miticide, such as Merit— a tactic that is tried and true against these problematic pests. Make sure you watch for scale insects as well. Whiteflies, chinch bugs, sob web, and armyworms are some of the more common nuisances. We have exactly what you need and the know-how to guide you, so you can ultimately beat the heat— and the pests— so your lawn and garden thrives throughout the summer. Summer lawn and garden care is vital, keep your operation happy and healthy with these tips. 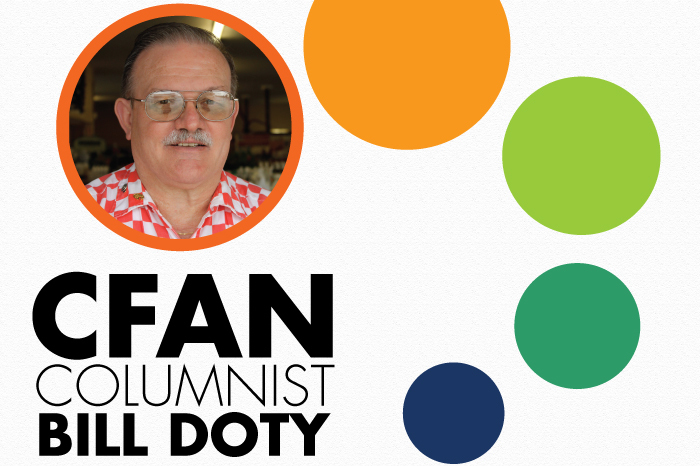 This column is sponsored by Doty Farm and Garden Supply Inc., and the opinions expressed herein may not reflect those of CFAN or of its advertisers.